SPACE for Heaton will be holding an open meeting on Wednesday 13th February to share information about recent air quality measurements in the Heaton area. Taking place at Chillingham Road Primary School at 7:15pm there will be a chance to see what has been recorded by monitors put up by the Urban Observatory at Newcastle University as well as see portable monitors. There will a short presentation on SPACE for Heaton, details about measurements of pollutants taken around the area and some information about the Sense My Street project that helped get the sensors installed as well as some words from one of the Heaton ward councillors. See the poster below for all the information. We hope to see you there. Around a year ago a number of sensors that could record levels of various types of air pollution were installed in locations around Heaton in conjunction with Newcastle University’s Urban Observatory. After a few initial problems and some calibration, the sensors have now been recording data for a number of months. One of the pollutants that has been in the news recently and is measured by the sensors is NO2. NO2 is nitrogen dioxide, a colourless gas that is released in to the air when fuels like petrol, diesel and natural gas are burned. High levels of NO2 can cause health problems, particularly for people with asthma. The concentration of NO2 is recorded by the sensors in micrograms per metre cubed of air (µg/m³). While there is no safe level of any sort of pollutant there is a legal target for NO2 of an annual mean of 40 µg/m³. Additionally, a 1 hour mean average of 200 µg/m³ should not be exceeded more than 18 times a year. The Government guide to safe levels various types of air pollution can be found on the DEFRA website (pdf) along with a useful guide explaining what the targets mean in terms of UK and EU limits. In order to see what current levels of NO2 are in the Heaton area, and establish a baseline against which future readings can be compared, we looked at the average readings for the month of November 2018. There were three sensors operational. The average readings of NO2 for the month are show in the following table. Unsurprisingly, there is quite a difference between the Coast Road and Chillingham and Heaton Roads. This is likely to be related to the difference in volume of traffic using the different roads. Although the three monitors recorded different levels of NO2 all three showed rises and falls on the same days. This could be due to levels of traffic rising and falling across different days or other factors such as weather conditions. More data and research would be needed to pinpoint the reasons behind the peaks. However, whatever the causes are, they seem to affect the whole area simultaneously. The following graphs show the daily average for November 2018 of NO2 recorded by each of the sensors. At the time of writing the Council should have submitted a plan to the Government detailing what it intends to do the tackle areas of the city that currently have levels of NO2 that breach legal limits. One of these areas is the Coast Road running past Heaton. If no acceptable solutions are produced the Government may impose a Clean Air Charging Zone (often referred to as a CAZ) on the city. It is important that any solution created to tackle the high pollution levels in key areas don’t have a side effect of increasing the level of pollution elsewhere. This is particularly important in Heaton as any solution could move car traffic – a major source of NO2 – from the Coast Road on to other roads running through the area if not thought through. It is not yet known what, if any, action the Council will be taking to reduce levels on NO2 but at SPACE for Heaton we feel it is important that any measures taken in one location don’t adversely affect another. While Chillingham Road and Heaton Road don’t currently breach legal limits, measures aimed at reducing Coast Road values should not lead to increases elsewhere around Heaton, or elsewhere in the city. If you share our concerns about air pollution in Heaton you can join us (no fees or commitment!) by visiting our signup page. Additionally keep a look out for news from the Council about their plans and respond to any consultation it undertakes expressing your support or concerns for the proposals when they appear. If this has sparked you interest you can find out more at our open meeting on 13th of February. You can find links to the sensors installed in the area where you can view and download data in our previous post. There are elections for the Council happening in Newcastle on the 3rd May 2018. This year new ward boundaries are being introduced. The wider Heaton area will be now covered by three wards: Heaton, Ouseburn and Manor Park. With lots of new faces we’re keen to find out what the candidates think, in particular about how they plan to address transport-related issues in our community. To do that we’ve come up with five statements or pledges and we have asked each of the candidates whether they support these or if not what they plan to do instead. Below the candidate’s responses, which we’ll update as they are received, we have also written a bit of background about why we have chosen these particular statements. Please keep checking back in advance of the elections on 3 May and if one of your candidates has not yet answered please do encourage them to do so. The very least we should expect from future local councillors is a willingness to engage with local residents and share their vision for the future of Heaton. Streets that are safe (and feel safe) for children to walk and cycle to school, to the shops or to the park. Air pollution in Newcastle brought within legal limits as soon as possible. Residential streets that are pleasant, safe and attractive places to live and where children can play out. Rapid implementation of temporary changes to trial interventions to support these objectives. Constructive community engagement about how to address the public health impacts of travel and the benefits of active travel. Please see below for more on why we have chosen these pledges and what they mean in practice. Christopher Boyle Liberal Democrats Agrees with 1-3 and 5. Reservations about 4 explained in the full response below. Florence Kirkby Conservative Party Heaton has always been felt to be a pleasant place to live and I am happy to endorse pledges 1, 2, 3 and 5. Pledge 4 I think I might like to consider on a more individual bases. WHY HAVE WE CHOSEN THESE PLEDGES? Pledge 1. Streets that are safe, and feel safe, for children to walk and cycle to school, to the shops or to the park. Everyone should be able to travel safely whether they walk, cycle, use public transport or drive and should feel safe while they do so, but this isn’t currently the case in Heaton. Often, traffic is fast and heavy, which is intimidating to many people. Children are less able to look out for themselves and are more likely to be injured or even killed in the event of a collision, so focusing on children, whether travelling independently or with an adult, is a good way to make Heaton safer for everyone. Children are also more vulnerable to air pollution and children driven to school can be subject to up to ten times worse air quality than children who walk or cycle, and the extra vehicles make it harder for everyone else who needs to drive. Children who walk or cycle also get the benefit of the exercise – with the NHS recommending that children need at least 60 minute of moderate or vigorous exercise every day. When we say streets ‘that are safe and feel safe’ we mean streets where children can and do walk and cycle to school, to shops or to the park, and where parents feel comfortable to let them. Ultimately it will be for local residents, and in particular parents, to judge whether a street is safe for their children to walk and cycle. We hope to work with Councillors who sign up to this pledge to engage with local parents to determine what is needed to achieve this objective. While it is right that children are the priority, the map below shows the locations of where people have been killed or seriously injured in the Heaton area in the last 10 years (2008-2017). As with other UK cities including Liverpool and Edinburgh we hope Newcastle will also adopt a “Vision Zero” target i.e. zero deaths or serious injuries on Newcastle’s roads. Pledge 2. Air pollution in Newcastle brought within legal limits as soon as possible. In the last official figures from 2016, both Gosforth and City Centre Air Quality Management Areas (which stretches along Jesmond Road to Heaton) were in breach of the legal limits that should have been met by 2010. Bringing air pollution within legal limits as soon as possible is actually a legal requirement and Newcastle City Council has been mandated by DEFRA to produce a plan to do this by the end of 2018. Our expectation is that legal limits in Newcastle can be achieved by 2020 however that will depend on the detailed modelling currently being undertaken by the Council. Air pollution affects everyone but it affects the young and the old the most. In Newcastle it has been estimated that 124 lives are lost every year as a result of illegal air pollution just for nitrogen dioxide with particulate matter likely to be responsible for more still. As well as causing early deaths, air pollution is also known to be a major cause of heart disease, lung disease, cancer and has been shown to be responsible for birth defects and cognitive delay in children. In a recent report, the Royal College of Physicians has recommended that to protect public health, the UK adopt even more ambitious targets than the current legal limits and we hope Newcastle will adopt and work towards meeting those more challenging targets. Given this is a legal requirement that the Council must meet we expect all candidates will sign up to this pledge. Pledge 3. Residential streets that are pleasant, safe and attractive places to live and where children can play out without fear of traffic. Streets aren’t just about movement of traffic. They are also where we live, shop and socialise, and for children also where they are most likely to play outside near their homes. Many streets in Heaton are suitable for children to play out but many are not. 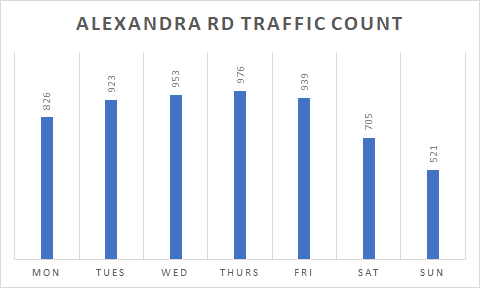 Traffic surveys undertaken by the Council in 2017 show some streets having high volumes of traffic throughout the day. 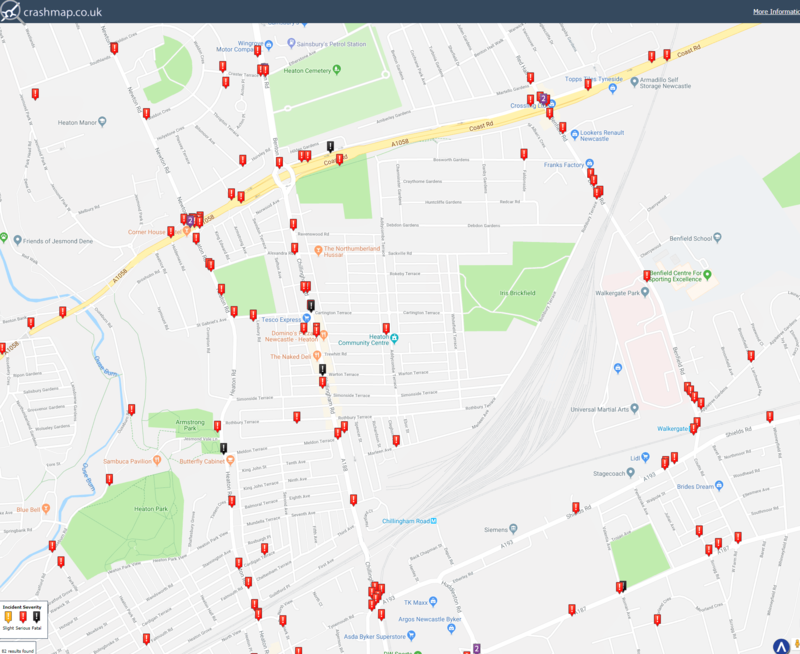 On Warwick Street, a terrace link many in Heaton, but with high volumes on traffic more than 200 vehicles were recorded in one 15 minute period on 7th June 2017. As a result we don’t see as many children playing out as we might expect and certainly a lot fewer than we when were children ourselves. Parents cannot be blamed for keeping their children indoors with such high volumes of traffic. Low-traffic neighbourhoods with streets that are safe for children are better for everyone with less noise, less danger and cleaner air. It’s even been shown that people living on streets with less traffic have more friends and a better social life than those that live on streets with heavy traffic. This is no laughing matter when loneliness is now considered such a serious issue that the Government has appointed a Minister for Loneliness to create a national loneliness strategy. As with pledge 1, it will be for local residents to judge whether a street is pleasant, safe and attractive and where children can play out without fear of traffic. We hope to work with Councillors who sign up to this pledge to engage with local residents who have concerns about traffic-related issues to look at options for how this objective can be met for their street. Pledge 4. Rapid implementation of temporary changes to trial interventions in support of these objectives. If Pledges 1-3 are to mean anything there must be some meaningful and urgent action as a result. Often changes involving traffic are controversial with long and heated debates about the likely consequences of a change. Yet other cities have shown that there is a different way, with trial interventions that can be implemented quickly that let people experience what will happen without any permanent commitment being made. Using trials as part of a range of interventions helps inform the debate as people can see the benefits for themselves, and if there are issues with the trial then they can be stated factually with councillors and residents then able to work together to resolve or mitigate those issues. Clearly not all issues can be resolved straight away but we hope to work with Councillors and other members of the community to identify and prioritise the areas of greatest concern, where trials might receive the most support and have the greatest benefit. Pledge 5. Constructive community engagement about how to address the public health impacts of travel and the benefits of active travel. Making streets safer and cutting air pollution should be objectives that everyone supports, but it is still important that the council and local councillors engage with the community to ensure that residents understand what the issues are and have a chance to help solve those issues. Air pollution in particular is invisible and we’ve found that many people haven’t been aware that it has been, and continues to be, a problem in Heaton. Nor are people generally aware of the very serious health impact of sedentary lifestyles which cost taxpayers billions of pounds every year and are responsible for even more early deaths than air pollution. Likewise it is often challenging to put ourselves in others’ shoes, to understand for example what it is like to be a child on Heaton’s streets, what it is like to be a parent cycling or walking with children (or even alone) on busy streets during the rush hour, or what it is like for residents or visitors with disabilities or conditions for whom travel is a challenge. It is only by having this broad engagement that we can ensure that Heaton’s streets are safe and accessible for everyone. These five pledges are based on SPACE for Heaton’s objectives which you can see here. They don’t cover all the SPACE for Heaton’s objectives but we welcome input from candidates about how they will go about meeting other aspects of those objectives to make streets in Heaton more healthy, liveable, accessible and safe for everyone of all ages and abilities. Our thanks go to our neighbouring group, SPACE for Gosforth, in helping to put this information together. There has been an announcement from the Council on the progress of the Streets for People projects taking place in areas around the city, including Heaton. The comments collected from the consultation exercise in October and November 2017 have now been assessed against the initial proposals drawn up by the reference groups in the three project areas. There were more than 2600 responses to the consultation for in the Heaton and Ouseburn area which suggest many people heard about the proposals and submitted their thoughts. SPACE for Heaton also submitted a response which you can read here. The consultation results have now been published by the council. You can read the full document on the Streets for People website or download it directly (PDF). The next step is for officers at the Council to create detailed plans that take in to account the results from the consultation. The original timeline for the project suggested that these plans would be available around now but things appear to have slipped a bit. Hopefully, once the local elections have happened (which prevents Council announcements for the duration) we will be able to see detailed schemes that are ready for formal consultation and implementation. Recently a number of people have raised the issue of pavement parking, highlighting Heaton Park Road as a particular problem. Although the pavement, particularly outside the shops, is very wide some of the area is private land and gets used by people to park cars on. These parked cars often encroach on to the public pavement causing an obstruction, putting people at risk, and making it harder to get around our community. The obstruction means people who walk (particularly those using pushchairs/wheelchairs) find it hard to get around, and there is a risk of accidents as cars drive along the pavement looking for a space. By preventing parking on the pavements, the area would become much safer, but also be more pleasant to spend time in – which has clear benefits for both local businesses and the wider community. The opposite side of the road (by Heaton Perk) has no parking, and is a much more pleasant environment. To raise awareness of this issue and ensure it gets addressed in the future SPACE for Heaton have started a petition where local people can lend their voice in support of keeping pavements clear for people. On a very cold, frosty, morning in December some Heaton residents who had heard about the aims of SPACE for Heaton met in Heaton Park. The purpose of the meeting was to make a film that explained what and who SPACE for Heaton is and why it has been created. After all the clips of people from around Heaton had been gathered together the film has been edited and released to the world. You can see the film below. If you agree with the message don’t forget to share it with your friends. You can also sign up to our newsletter to keep up to date with what SPACE for Heaton is doing. Working alongside the Sense My Street project from the Urban Laboratory at Newcastle University we have had three air quality monitors installed in the Heaton area. The monitors are capable of measuring nitrogen dioxide as well as particles of different sizes to give a good idea of the air quality in the area. We will be writing more about what the data is showing and what the current limits are shortly, but early indications show there are some areas to look at in more detail. For example, the national air quality guidelines say that PM10 particles should not exceed an average level of 50 µg/m³ over a 24 hour, period while European obligations say 50 µg/m³ should not be exceeded more than 35 times per year. Readings of PM10 on Warwick Street on 12th January 2018 had readings around 100 µg/m³ for most of the morning before dropping during the afternoon. European obligations for nitrogen dioxide are an annual mean of 40 µg/m³. Early readings taken from Chillingham Road on 12th January 2018 show a reading above that level at several points throughout the day but an average that currently meets targets. Readings from the sensor on the Coast Road show an average of 68µg m³ for the 7 days from 6th to 13th Feb 2018. As more data comes in over the next few weeks it will be possible to get a much clearer idea of the air quality across the area as well as what the causes of the different types of pollution are. The consultation for the Heaton and Ouseburn Streets for People project is coming to a close at the end of November and SPACE for Heaton has submitted a response to the proposals. The proposals can be seen on the Streets for People website. Our response is detailed below. We strongly support the proposed cycle lanes on the northern section of Heaton Road and see it as a strategic priority cycle route for the city with the longer-term potential to connect north – south linking schools, the hospital and employment locations such as the Ministry. We would like to see the principle of one cycle lane on each side of the road kept as this is the safest layout as it avoids cyclists having to move from one carriageway across traffic to another. We would like to see this completed to the highest standard possible within the available budget. We strongly prefer new cycle ways being given some protection (especially for new and young riders) by placing them inside not outside any car parking bays. At the junction of Heaton Road and Cartington Terrace we don’t see a problem with retaining the current traffic signals. If they are to be retained, we would like to see a cycle phase included in the light sequence, as has been done at the junction of Heaton Road and Cardigan Terrace recently, to release cycles ahead of people in cars. This will allow people on bikes to safely turn on to other streets if they desire, before people in cars make this difficult and dangerous. We don’t think the full closure of Alexandra Road and Cartington Terrace is necessary but would urge the Council to consider alternative means of traffic calming to discourage through traffic possibly by using experimental measures. We would particularly like to see some discouragement to through traffic at the junction of Cartington Terrace and Chillingham Road by the Post Office as this location is made difficult for pedestrians by people parking on yellow lines and the pavement. The proposals for Heaton Park Road look very good and we fully support them. The proposed changes should make the street more people friendly as well as bringing a welcome refresh to how it looks. The additional crossing will increase the safety of people wanting to get from one side to the other and emphasise pedestrian priority. We feel more could be made to provide an easier crossing of the strategic cycle route over Heaton Park Road but appreciate this would cause problems with the proposed new crossing. We welcome the proposed changes along Heaton Park View which should bring a bit of balance to people using the street on foot. The blended footways will make it considerably easier and safer for pedestrians to travel along the streets while not making it any harder for anyone else. In combination with the changes to the junction with Stannington Grove and Heaton Park View we would like to see the priorities with Wandsworth Road/Stannington Avenue changed to prioritise the cycle route that goes through that junction. This would only need road markings to be changed and would further help to underline that people driving should give way to people travelling more sustainably. The changes to the Heaton Park Road and Warwick street junction seem appropriate and bring some emphasis to pedestrian desire lines that are ignored in the current layout. We support the changes to this junction. We would like to emphasise that the final plans should look at the details of cycle manoeuvring. For example, the left turn from Warwick Street going east on to Newington Road southbound will be difficult in traffic if the cycle entrance is narrow and has 90-degree corners. Likewise, the right turn procedure for cyclists from Warwick Street will need to be totally obvious. While these manoeuvres are not likely to be the most frequent uses of the junction, if they are possible they will happen, so need to be safe for people making them. We welcome any proposals near schools that improve the safety of children. The new and modified crossings on Chillingham Road are very welcome. The islands they replace made crossing, particularly with children, very difficult. Being able to cross the road in one go will be a convenient a safe improvement to the current layout. Providing more space on the west side of the crossing nearest the school is a welcome change too. The blended pavements along Chillingham road should help to slow turning traffic and emphasise that priority should be given to people on the pavement.